From a small business to an international corporation, your company needs a secure location to keep your assets and staff safe. Discover important ways you can keep your building secure, and how building security can help keep your business operating and thriving in a competitive market. When it comes to safety and security, there are many ways your business can be harmed. From stolen identities to compromised personal files, your business could be financially ruined through an act of vandalism or theft. Protecting your building protects your physical property, IT property and personal wellbeing. An efficient plan for building security can also give your employees and customers peace of mind as you conduct business in any industry. There are many ways to improve the safety of your building. Consider each of these options carefully to determine how your location might be protected from physical or cyber threats. A great way to protect your building is through highly trained security officers. Whether you choose to hire a team for round-the-clock support or have an on-demand response team, security officers can provide knowledgeable support in a variety of situations. When the best-laid security plans are ruined, a security team can provide dynamic responses to any situation. From fire safety to perimeter patrol, a security officer is one of the most comprehensive ways to ensure you and your building are safe. If you’re looking for a more specialized option for your specific property, you need a risk assessment check. A certified assessor can pinpoint the weaknesses in your building security, as well as potential threats and the likelihood of particular attacks. Only a thorough risk and threat assessment can give you the information you need to choose the proper building security protocols and technologies. It only takes a single missed weakness in your building security to compromise your business. A major feature in any building security is surveillance. Whether you own a convenience store, school or office building, surveillance can protect your location from intruders. If your employees have access to sensitive information or finances, surveillance can also protect your company from theft from an employee. Choose from a wide range of state-of-the-art surveillance technology. 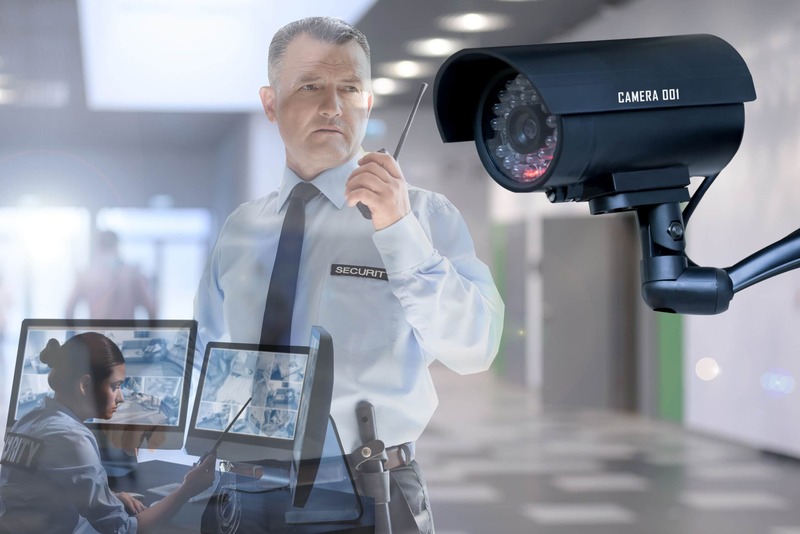 From spectrum analyzers and wideband receivers to phone monitoring devices, there are countless ways to protect your business assets from theft, vandalism or other crimes. If a burglar enters your location, there are a range of surveillance technologies that can immediately alert the authorities if a certain boundary is crossed. From laser sensors to thermal-imaging cameras, protecting the interior of your building can be just as essential as the perimeter. If you’re concerned about unauthorized access to your building, whether during work hours or afterhours, secure access controls and photo identification systems can help you ensure that only authorized employees are able to enter your building or particular rooms in your building. Unauthorized visitors can be a major security concern for certain businesses. It’s essential that you can accurately identify everyone in your building and deny access to certain individuals. Secure access can be achieved by using traditional keys, ID badges or more advanced means of identification, like fingerprint scanners or retinal scanners. Whichever technology you choose, ensure that your employees understand how it operates in order to effectively secure your building. With a wide range of options available, you can tailor your access control based on your budget and the amount of control you need. Some businesses require extensive high-level clearance and authorization, while other businesses simply want a safe way to lock up without worrying about a burglar picking the lock. In the age of the internet your building security goes beyond the physical building. Access to your computer and servers can be just as damaging as physical access in your building. Guard this figurative doorway to your company information with the latest cyber security. From the latest antivirus to anti-piggybacking and the latest firewall protection, your business may need a dedicated team of IT security professionals to keep your important information safe. Use your threat assessment to determine the scope of IT security necessary for your company. Once you’re ready to get started with your security threat assessment, choose a reliable security company with extensive experience keeping companies safe. 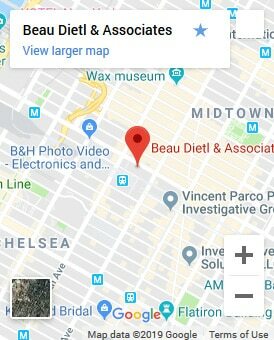 Contact us today to learn how Beau Dietl & Associates can help you improve your building security. Stay safe, stay in business and stay ahead of the competition with the latest security services.